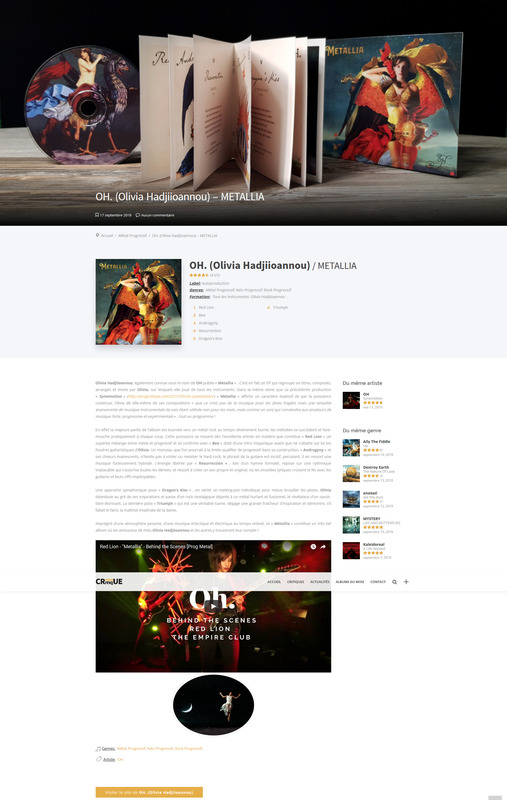 Review of Oh.’s “Metallia” by Gabriel Badelier on Progcritique — Oh. 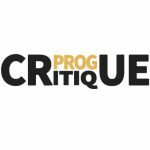 Gabriel Badelier the inspired, perceptive and artful author behind the highly revered French music review website Progcritique wrote a superb review of new progressive metal album “Metallia.” Progcritique is a website that features new reviews on the latest albums in the world of progressive rock. 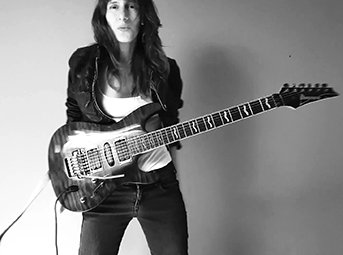 A symphonic approach for “Dragon’s Kiss”, in truth a melodic melting pot to better blur the tracks, Olivia wanders according to her inspirations and goes from a nostalgic rock to a screaming and fusion metal, revealing an amazing skillfulness. The last “Triumph” track, which is a real slaughter, exudes a great freshness of inspiration and shows, if necessary, the imperial mastery of the lady. 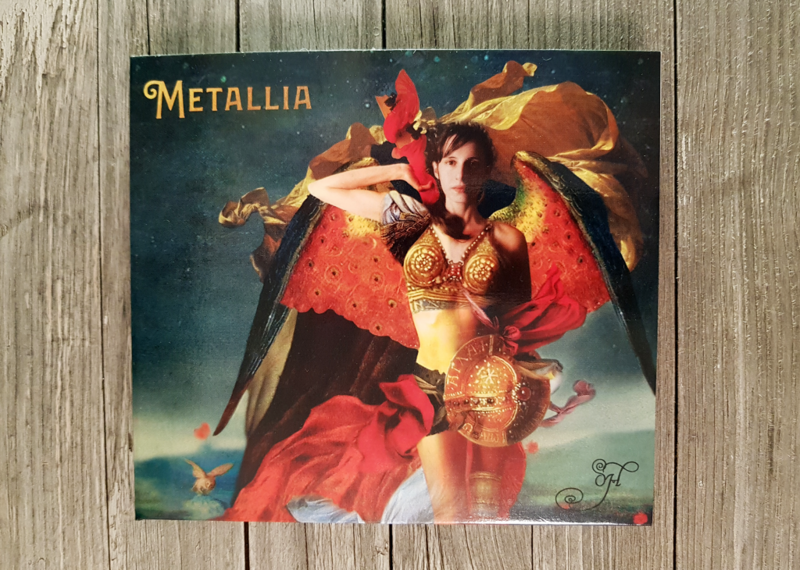 Impregnated with a heavy atmosphere, an eclectic and electric music with a fast tempo, this “Métallia” is a very beautiful album where the lovers of Olivia Hadjiioannou and the others will find what they are looking for! 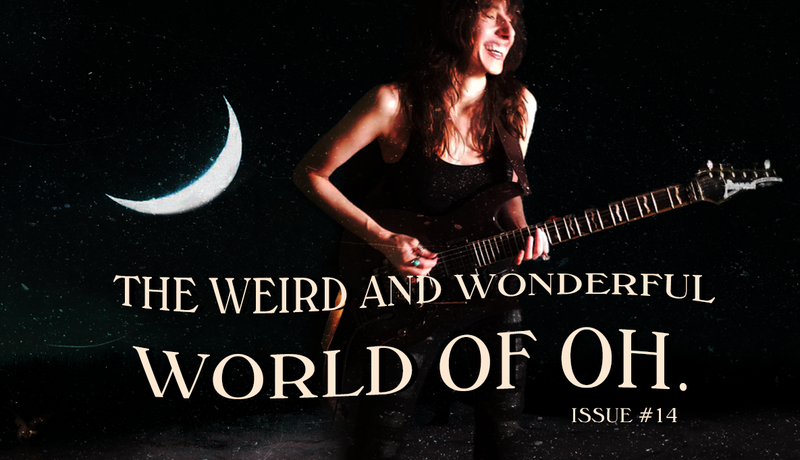 Olivia Hadjiioannou, also known as Oh. produces “Métallia”. 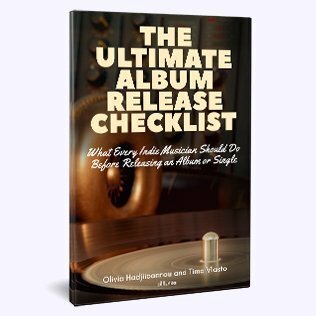 It is, indeed, an EP that includes six tracks, composed, arranged and mixed by Olivia, on which she plays all the instruments. 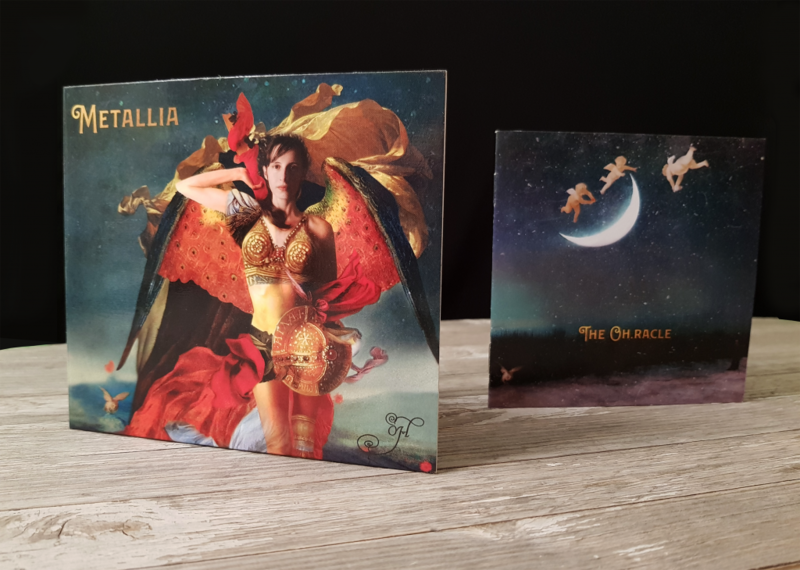 In the same spirit as her previous production “Synemotion” (http://progcritique.com/2015/05/oh-synemotion/) “Métallia” displays an explosive character due to its concentrated power, Olivia herself says of her compositions “that it is not music for fragile souls but an evanescent storm of instrumental music (the voice being used not for words, but as a sound) that will suit lovers of loud, progressive and experimental music”, a whole work in itself! intro before Olivia’s guitaristic wrath falls on it. 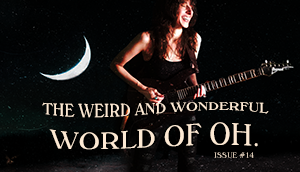 A track that could almost be described as progressive in its construction, “Androgyny” and its evanescent choirs, does not hesitate to visit or revisit hard rock, the phrasing of the guitar is incisive, striking, the result is a furiously hybrid music. The energy released by “Resurrection”, far from a formalized anthem, rests on an implacable rhythmic that allows itself all the deviations, and succeeds in creating a clean and original sound, where lyrical flights cross the iron with guitars and their merciless riffs.